You may have noticed over the last month or so that you have been feeling head-achy, or maybe your neck and shoulder have been stiff and sore. Or, it could be that you feel a tightness or achiness all over your body. Red or dry eyes or rashes? Or maybe you have been feeling irritable, indecisive or even downright angry. Many of these symptoms indicate a sluggish liver. This doesn’t mean your liver is sick. It just needs a little support from your diet and your lifestyle. Spring has finally come here in the Monadnock region of NH and it’s the ideal time to focus on your liver. The cold, bitter weather of winter which often inspires sweeter and heavier food and beverage choices can cause liver energy stagnation. According to Traditional Chinese Medicine (TCM), different organ systems experience a surge of energy along with the seasons. When the chill of winter is replaced by the warming of spring, the liver’s energy reaches its full potential. It’s a great time to give your liver some love. Eat an anti-inflammatory diet. Keep things balanced by eating real, whole foods (preferably organic), including unrefined sources of carbohydrates, veggies, fruits and healthy fats. When it comes to fats and proteins in your diet, focus on quality sources (cage-free eggs, grass-fed meat or wild-caught seafood, for example) to lighten the load on your liver. 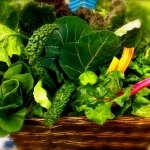 Incorporate bitter foods into your diet. Bitterness is usually a sign that beneficial enzymes are present, which nourish the liver and other digestive organs like the spleen and gallbladder. 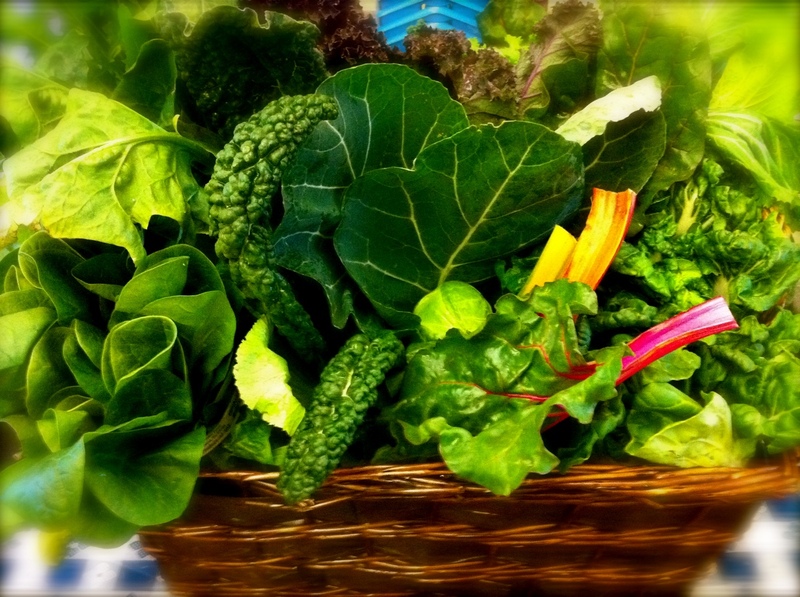 Leafy greens a great source of bitter green vegetables (mustard greens, chicory, arugula, dandelion, etc.) 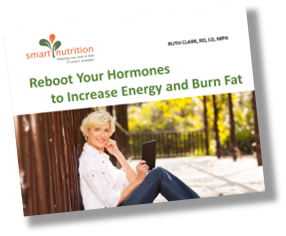 and are loaded with liver supportive nutrients such as glutathione. Glutathione is vital to your immune system and the master antioxidant and detoxifier of every cell in your body. 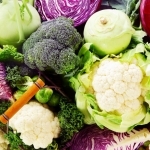 Eat more cruciferous veggies— Cruciferous vegetables can increase production of glucosinolates that help detoxify the liver and increase the liver’s ability to usher out carcinogens and heavy metals from the blood. Crucifers also contain indole compounds which are known to help eliminate carcinogens from the body. Fresh herbs — Herbs including turmeric, cayenne, parsley, cilantro and rosemary are great herbs to support your liver. Turmeric, parsley and cilantro are great boosters of glutathione production and all of these herbs lower inflammation. Potent flavors and aromatic smells of herbs are a sign of beneficial essential oils. High-antioxidant fruits — Fruits like all berries, plums, citrus and purple, red and blue grapes protect the depletion of glutathione. These antioxidants play a role in protecting the liver against toxins. Since one of its major roles is to filter toxins out of the blood, this extra support allows the liver to remain healthy and able to do its job. 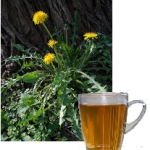 Drink some dandelion tea — This is a simple way to support your liver and I have talked about it before in this column. Dandelion has been used for centuries as a liver tonic to stimulate and detoxify a sluggish or congested liver. There is also some interesting new science that indicates the root of dandelion may have a positive effect on the growth of healthy bacteria in our gut. Move your body more — The liver stores and processes your blood, so circulation helps your liver to cleanse itself. The body can become stagnant and more susceptible to disease when blood isn’t flowing, but during physical activities, the heart pumps more blood which replenishes your liver. These are some very simple things you can do to support your liver which is the work horse of detoxification in your body.